Guess that Song allows you to show off your musical expertise and pit your skills against a friend. 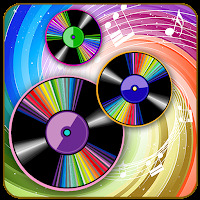 Designed for up to two players, the quiz app comes with a versatile variety of category lists including 2000’s Pop Hits, Love Songs, and even 60's, 70's, 80's, and 90's Hits. Quizboard offers 10 different game board layouts in the premium version and an element of strategy as you lay down tiles towards the end point. Multiplier squares, streak bonuses, and over 14,000 questions make for an exciting quiz game with a social twist. You can play against your friends or even against random opponents online. 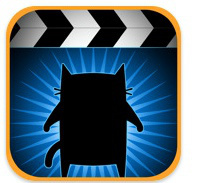 MovieCat is for those with a feline inclination. A movie trivia game with text questions, the app comes with bonus cat scenes which you can unlock and share with your friends or save in your photo gallery. Of course, you kickstart each game session with nine lives. If you’re more of a visual person, the Icon Pop Quiz is a perfect app to test your peripheral skills. A simple game, the app challenges players to name hit movies, TV shows, and more, with handcrafted icons inspired by the subject matter as clues during the quiz. Remember any scenes from your favourite movies? The Movie Quiz tests the power of your visual memory by showing parts of a film montage, and then allowing you to guess from four options. The less photo squares you choose, the more points you score. If you’re looking for a straightforward and attractive quiz game, you definitely can’t go wrong with QuizQuizQuiz, with its 1000 questions, awards, and timer options. It also has questions in several languages, including English, French, German, Spanish, Italian, and more.